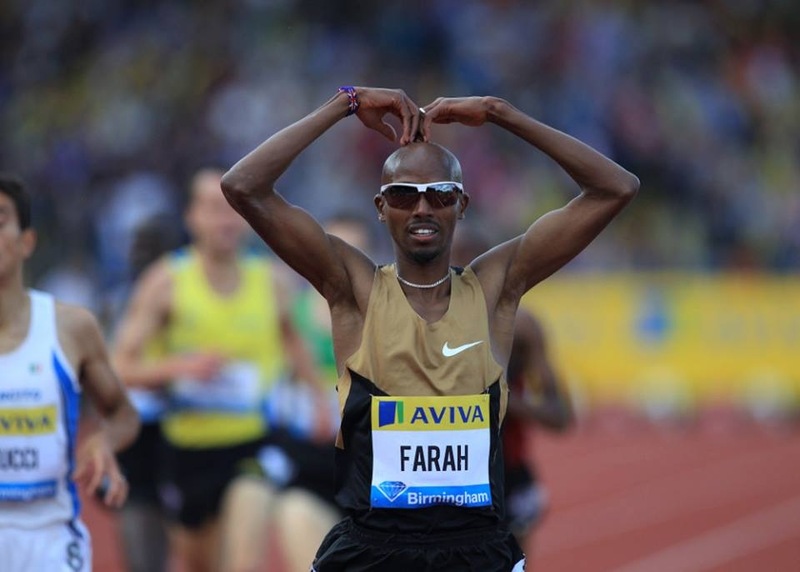 Our 2013 National Championships coverage continues here with the Middle Distances and all week with previews and more. 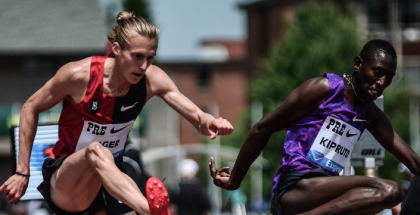 If you missed it, yesterday I previewed the Steeplechase, and Jesse Squire previewed Women’s Throws, Men’s Throws, Women’s Jumps and Men’s Jumps. Make sure and bookmark the Daily Relay Coverage of the 2013 USA Outdoor Track and Field Championships and follow @DailyRelay for updates! Alysia Montano has been the American leader in the Women’s 800 for a few years now. Frankly, I can’t remember the last time she lost to another American. Well, that was until the Prefontaine Classic, when she had an off day and found herself motoring towards the line in the final 50 yards to hold off a hard charging Mary Cain. Montano’s time that day was still an ‘A’ worthy 1:59.43. The third spot is wide open. Geena Gall returns from her Olympic year looking strong of late. Phoebe Wright took a nice win in the National 800 at Pre in 2:00.85. Ajee Wilson has yet to return to her form from the end of 2012, but is always a contender. And there are plenty others in that 2:01 range, that could contend. Finally, two big wild cards here are Maggie Vessey and Erica Moore. Vessey hasn’t raced this year, aside from rabbiting one 800, but has 1:57 speed. 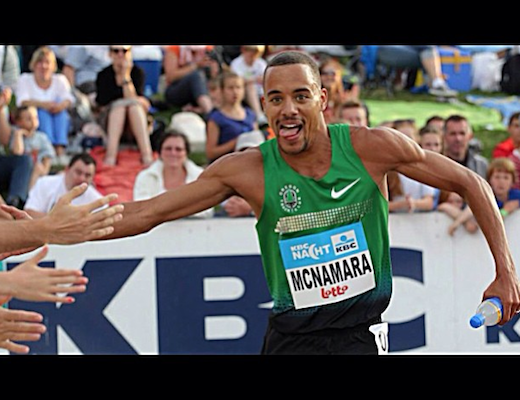 Moore won the bronze at the 2012 Indoor World Championships, but hasn’t run this year either. This could get interesting. Nick Symmonds has won the last five United States 800 Championships. He has looked good this year as well, especially in winning the 1500 at Oxy. Right now, he looks a few steps ahead of his rival, Duane Solomon. Both should come out of Des Moines, but there are a lot of competitors lurking. Brandon Johnson has left the 400 hurdles behind and had the race of his life at Oxy, winning in 1:44.85. Will he be able to make it through three rounds in his first real go at the 800? It will be tough, but the 400 hurdles are a tough event, so he’s got that working for his confidence. After Johnson, Mike Rutt has been having an excellent year, with the ‘A’ to prove it. Mark Wieczorek has as well. Rutt made the final at Indoor World’s in 2012 and Wizzo made the trials final last year. Then there is Robby Andrews. Let’s face it. He hasn’t looked good in a long time. But he has in the past. Maybe he’ll get his confidence going during the rounds. Maybe not. I wouldn’t count him out. Next up, there is Tyler Mulder and Erik Sowinski. Mulder has been running his best lately, winning at the Portland Track Festival in a near personal best time of 1:44.79. Recent Nike signee, Sowinski has been strong since Indoors, with his only stumble, being an actual stumble at the Adidas Grand Prix in New York. Finally, there are the last two NCAA Champs, Elijah Greer and Charles Jock. Greer made the trials final last year and is running his best right now. He knows how to run rounds and has a great kick. Two good things to have in your back pocket this time of year. Jock seems to be employing new tactics. Will be interesting to see how they work out in such a strong field. Nevermind some strong names not making the team. Some won’t make the final. With Jenny Simpson getting the well-earned free pass to Moscow due to her Daegu win, and Brenda Martinez opting for the 800, the field opens up a little bit for the additional three spots on the World Championship team. Treniere Moser leads with way in her renaissance year with Alberto Salazar and the Oregon Project. Just behind her in 4:04-land are Katie Mackey and teen sensation, Mary Cain. Next up in the 4:05 qualifier group are Sarah Brown and the surging Gabriele Anderson (who ran 4:04 last year). And not on this list, but certainly, in the mix, are former national champs, Shannon Rowbury and Morgan Uceny. How will the race shake out? There’s only one qualifying round and the top four can chase, until July 20, so I expect a tactical affair. Who does that favor? You’ve got to like Uceny and Rowbury, with their history. But… Moser has looked tough, Cain has proved she has closing speed to match, Anderson just ran a personal best over 800 at Pre and Mackey is always in the mix. The Men’s 1500 is a total grab bag this year, with 47 competitors entering the qualifying round. That’s right, 47! Matt Centrowitz looks to be rounding into shape at just the right time, and has proven to be a master of the rounds. At this point, he’s the only one that feels like a sure thing. He needs the ‘A,’ but will likely target that at Birmingham, Paris, or at worst case, in Monaco on July 19th; one day before the chase period ends. What’s up with Leo? He hasn’t re-signed with Nike yet, and he hasn’t looked good, at all. Leo Manzano has a silver medal and ALWAYS shows up in US Championships, but I’m not so sure this year. We’ll see how he looks in the qualifying round Thursday before passing too much judgement. Will Andrew Wheating please stand up? On paper, Wheating should be on the team. He probably will be, but you never know. 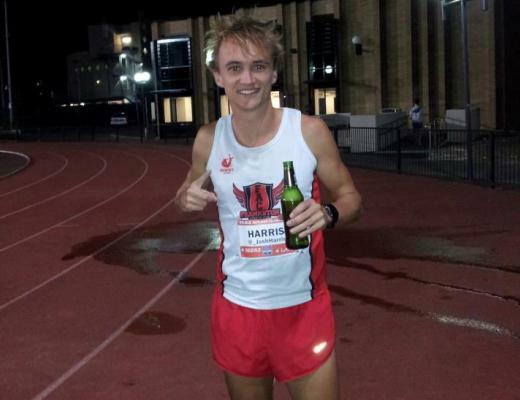 He finished one spot off the team in 2011, only to have Bernard Lagat offer his spot. He has looked good since, but not great. Injuries have plagued him, but he looks to be healthy now. The year of Will Leer. That’s what it has been thus far. His tactics have been strong over a few distances and his kick is the best that it has ever been. Leer should make the team. He has the ‘B,’ and that may be all it takes, but it would be nice to see him get the ‘A’ in Europe this summer. The Wild Cards. There are too many to list. Is it David Torrence’s year? Will Jordan McNamara break through? Can Mac Fleet strike while the iron is hot after winning NCAA’s? 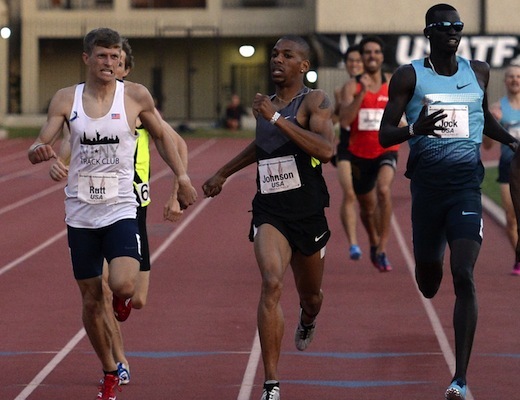 Is Lopez Lomong planning on running the 1500, as he is currently declared (and ran 3:51.45 for the mile at Pre). This certainly would shake things up! Note: Events will be broadcast on television and the internet via the new USATF.tv. For complete coverage, here’s USATF’s television schedule.